Former Creed lead singer Scott Stapp and members of the band 311 were involved in a fight on Thanksgiving in the lounge of a luxury hotel, according to hotel security staff and 311 members. 311 were in Baltimore for a weekend concert when several members ran into Stapp earlier that day, band drummer Chad Sexton told The Associated Press. Both Stapp and 311 have the same producer, and Sexton said there were no problems during the first meeting. But Stapp later came into the Harbor Court Hotel bar while Sexton and bandmates SA Martinez and P-Nut were watching basketball on television. He stepped in front of the screen and said, "311, I am ready to fight," according to Sexton. Sexton said the band tried to defuse the situation, and Stapp went to the bar to drink. Later, he made "inappropriate" comments to Martinez's wife, and was confrontational with Sexton. "All of a sudden, he clocked me in the left side of my face," Sexton said. "Then a huge fight broke out." During the melee, Martinez broke a finger and later went to the hospital to have a cast put on his hand. Security guards eventually broke up the brawl. Police were called, but no arrests were made, according to hotel security. "It was an unfortunate incident," Sexton said. "We are not brawlers." Beth Keifetz, vice president of publicity at Stapp's label, Wind-up Records, wouldn't comment on the reports of a fight. But Jonathan Jordan, director of security at the hotel, said the incident was captured on security cameras. He said Stapp was "attacked" by several members of 311 and that it took two security guards to break up the fight. "It was definitely started by 311," Jordan said. Officer Troy Harris, spokesman for the Baltimore Police, said the department didn't have any record of officers responding to the hotel. 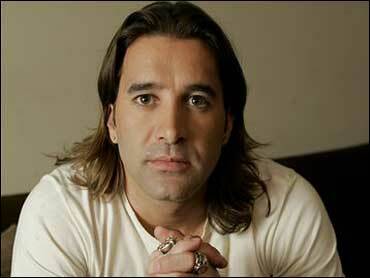 Stapp, who won a Grammy Award with Creed in 2000 for the song "With Arms Wide Open," has launched a solo career. He recently released his debut album, "The Great Divide." 311 has released more than a dozen albums since forming in 1988. The band's hit songs include the chart-topping "Down."